This is what it’s like being a boss babe. Boss babes are rear breeds! They are the alpha ladies, focused women who want to get things out of life; I crush on that attitude so much. 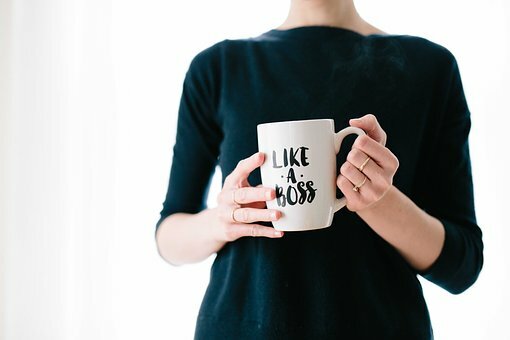 Boss babes got a lifestyle and such is so intriguing, and they don’t tolerate some attitudes👉 like a boss. The hardworking spirit is inborn, they are natural-born providers, they don’t seek to be taken care of, they work sunset to sunrise, check-up on some successful women of today (they are highly hardworking!) and they have a positive bank account to match. They got goals and are strongly determined towards achieving them, they don’t work without a schedule, they have goals they look up to and that’s why they don’t have time for fake stuffs, they are too busy working on their goals to have time to gossip. They don’t seek for attention. Nada! They are not attention seekers, anything beautiful does not seek attention remember, their personality speaks for them already. And are humble enough to accept that fact, they don’t work hard to appear perfect, rather they know that there is so much perfection in imperfection. Boss babes are too busy working on their goals to lose themselves in a relationship, they don’t let lose to a man, seriously they can’t help a one-sided relationship, they know what they want and will go for it. Every boss babe got a tribe of boss babes watching her back, she associate’s with fellow women, never proud and neither perfect. They are highly self disciplined, knows what’s right, what to say and not, they are mature all round, and they dress with class, they gat themselves in real control. And that’s the reality of being a boss babe, hang out with one and your life changes I guess, it’s not all about the money, it’s the lifestyle that counts. Fastest ways to make friends. Is Jesus Christ really coming back? [ Smiles ] They are certainly high achievers!